An English man is selling a drawing he believes was done by Andy Warhol for $2 million after he bought it at a Las Vegas garage sale for $5. 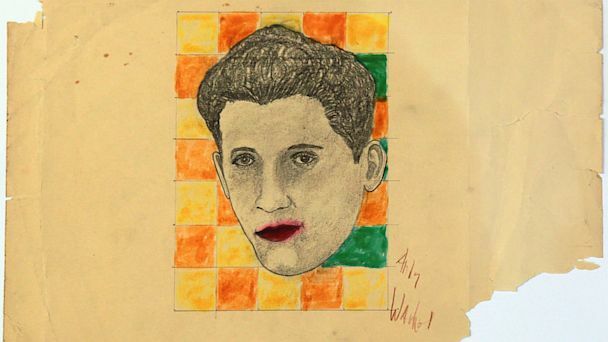 The graphite drawing bears Andy Warhol’s signature and is a portrait of singer Rudy Vallee against a backdrop of brightly colored one-inch squares. “I was told by Brett Maly that this is the earliest example of pop art and Warhol did it in when he was 11 years old,” Fields said. Brett Maly is an art appraiser for Las Vegas-based fine art dealer, Art Encounter. Fields showed Maly the drawing shortly after he bought it at a Las Vegas garage sale in 2010. Maly valued the drawing at $2.4 million, according to Fields. Apart from taking the drawing to Maly, Fields also tracked down the man from whom he bought the drawing. “The gentleman told me that he grew up a few blocks away from Andy Warhol and they used to party together,” Fields said. Fields also sent the drawing to the Andy Warhol Art Authentication Board for examination. The board returned the piece saying there was insufficient proof to authenticate, according to Fields. But before Fields could resubmit the drawing with more evidence, the board disbanded in October of 2011. “There is no person or organization that is in any way authorized or recognized by the foundation to authenticate Warhol works,” foundation spokeswoman Nina Djerejian told ABC News. View our Warhol collection here.